Turmeric is a shrub that grows in India, Asia and Africa and is a relative to ginger. Turmeric extract has many health benefits when taken as an herbal supplement. 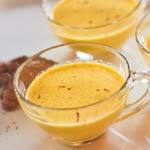 Additionally, turmeric is a popular food seasoning in Indian dishes and a common fabric dye. Because there are so many reported turmeric health benefits, many people opt to add it to their diets.